Having friends over for a party? Do you have your colleagues or study group coming over for project work? Guests coming over for a week this holiday season? If yes, then you may need to share your Wi-Fi network with them in order to get things working. You may not like the idea of putting your entire Wi-Fi network at risk, but you have no other way out. In order to complete the assignment or project or give your friends and family some freedom to enjoy their stay at your place, you may have to share your Wi-Fi network with them. At times, your neighbor may even request you to share your Wi-Fi for a couple of hours. In such a case, you need to protect your network from getting compromised easily. The following article will help you in setting up a guest network to share your Wi-Fi network with your friends and family. What is a Guest Network? Many network administrators provide the Guest Networking feature. This means you can share your Wi-Fi network without compromising on the sensitive data on your network. This means you can allow access to the guest to use just the Internet and not gain access to other Internet enabled devices on your home network. This includes your Internet-connected TV, computers, NAS, etc. Today, all the latest models of routers have guest network feature available on their admin page. It is very easy to set up and allow you to control how many features a guest network can allow users to use. How to Set Up Guest Network for Wi-Fi? 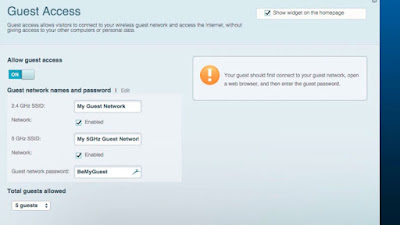 Routers such as D-Link routers have ‘Guest Zone’ on their access page and Linksys have ‘Guest Access’ on their Linksys Smart Wi-Fi remote management interface. Open a browser and type the default IP address of your router. This is usually 192.168.0.1 or 192.168.1.1. Enter the default username and password when prompted and you will gain access to the admin page of the router. Here look for Settings  Wireless  Guest Zone. If the ‘Status’ is ‘Disabled’ then toggle the button to ‘Enabled’. Now, enter the Guest Network and create a password for your guest network. If you only want the guest to access just the Internet and nothing else, then make sure you toggle the ‘Internet Access Only’ bar to ‘Enabled’. In some cases, you can allow the guest to access the Local home network resources such as file shares and printers. You can even select the maximum number of guests allowed to use the guest network. 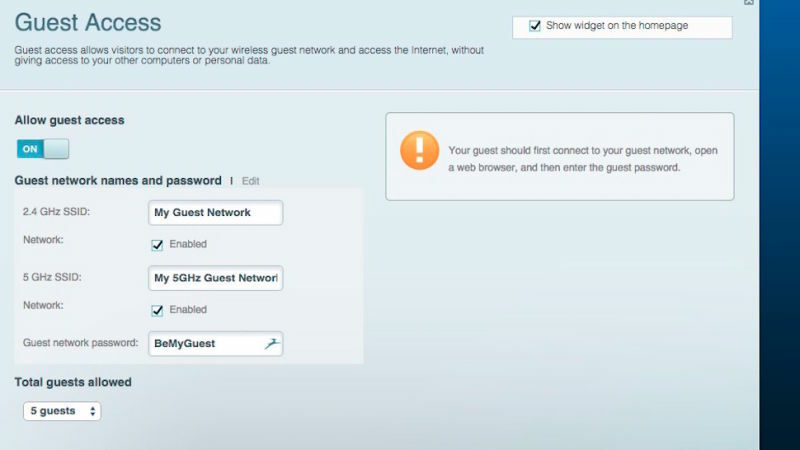 Once you complete the set up and save the settings, it is now time to know how to access the Guest Network. You will need to give it a new SSID that can be accessed by your guests and your main SSID remains safe and sound. In some cases, you can even set up time limit for guest users to access the Internet. Once the time is up, you can always blame it on router issue. This is all about letting others contact you through your own Wi-Fi network.